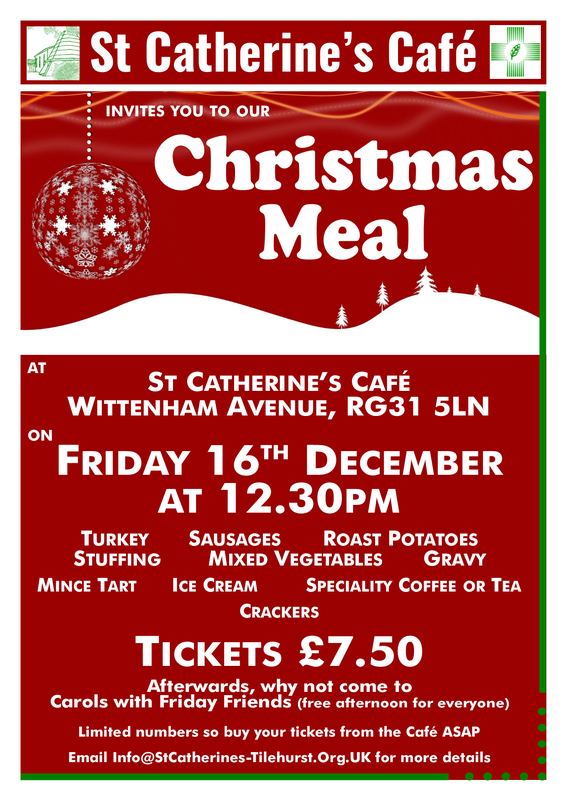 This years Christmas Meal is on Friday 16th December in St Catherine’s Café, starting at 12:30pm. The menu is Turkey, Sausages, Roast Potatoes, Stuffing, Mixed Vegetables and Gravy. Desert is Mince Tart, Ice Cream. They’ll also be Coffee, Tea & Crackers. You are also invited to join Friday Friends for carols afterwards. Book your place at the Café – £7.50. 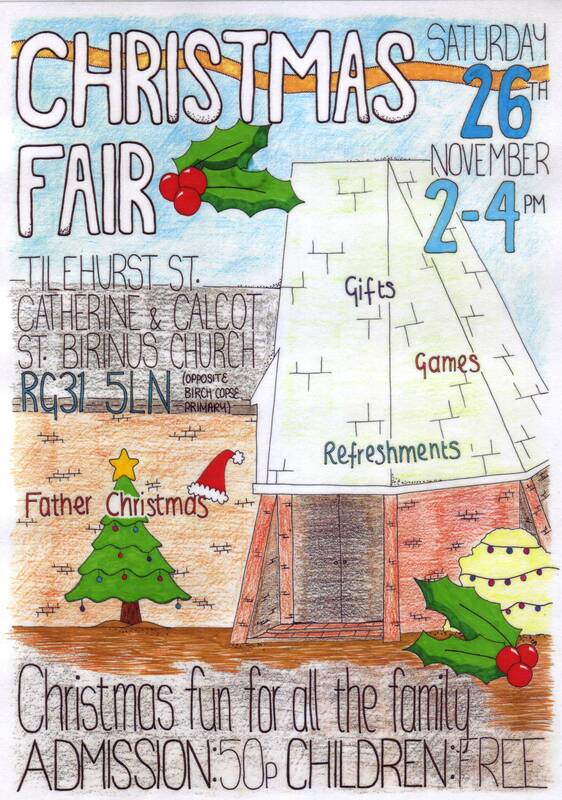 St Catherine’s Christmas Fair is on Saturday 26th November, 2pm – 4pm. They’ll be Christmas fun for all the family with gifts, games, refreshments & Father Christmas. Admission 50p, children are free. 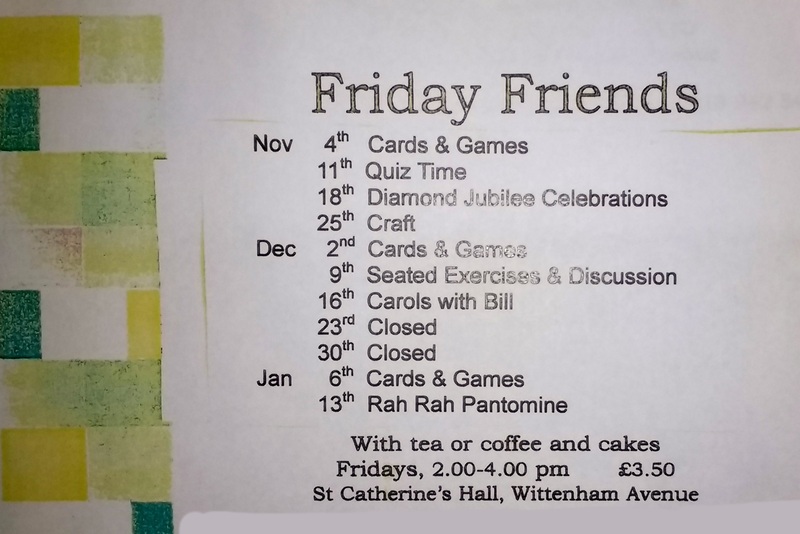 Friday Friends meets weekly from 2.00 – 4.00pm every Friday, price £3.50, offering a mix of light exercise, singing together, tabletop games and craft activities in a safe, warm and friendly environment – with tea and cakes. The November issue of RG31 – our Parish Magazine – is now available on-line here, or click on the image. 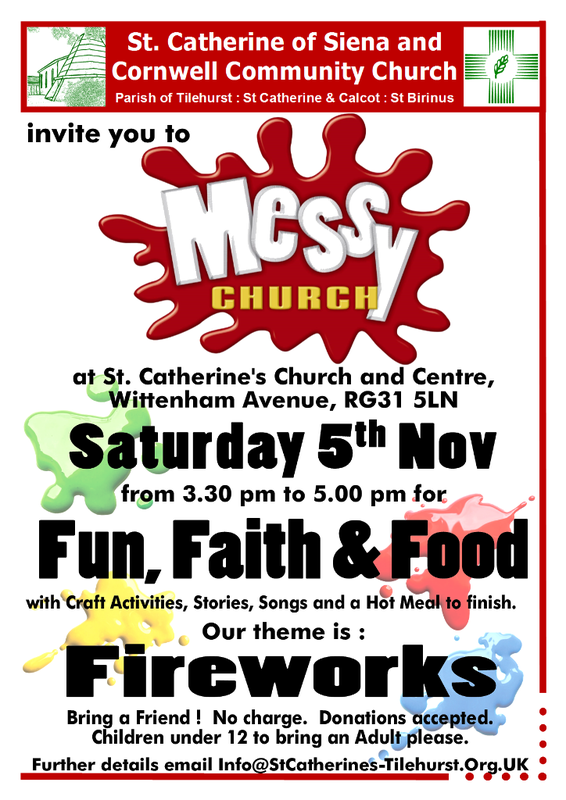 “Remember, remember the Fifth of November …” because it’s Messy Church Saturday ! Fun : We’ll have loads of Fireworks related craft. Faith : As part of our celebration time, we’ll be using Sparklers outside, so please bring coats, gloves and a hat if you have long hair. Food : We’re also planning typical fireworks food – Jacket potatoes with beans and/or cheese. Pudding is ice cream and fruit. The more the merrier, so please invite your friends. Hope to see you Saturday 5th, 3:30pm at St Catherine’s – try to remember !